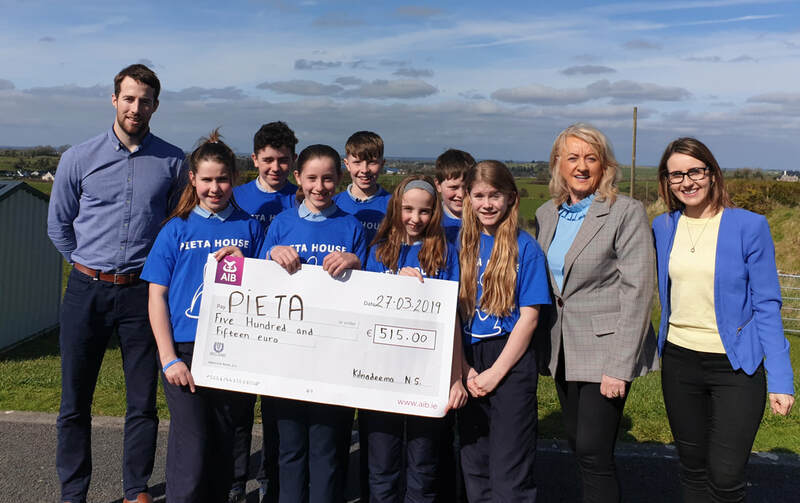 Kilnadeema NS presented a cheque to Pieta House as part of raising awareness for positive mental health. 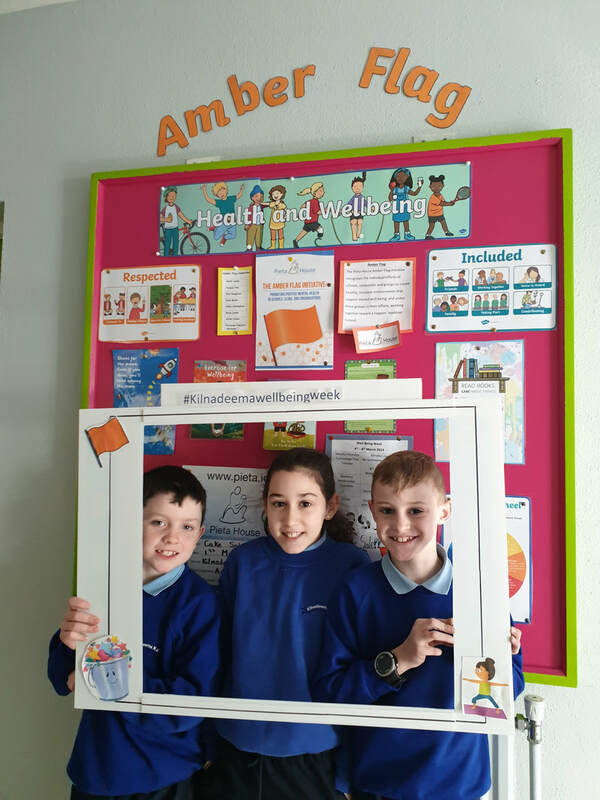 This year we are working towards achieving an Amber Flag for the school. 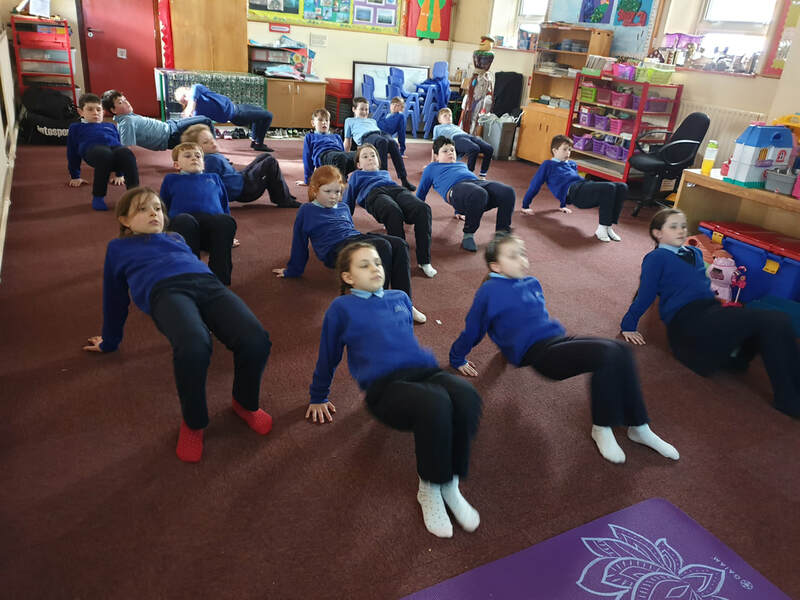 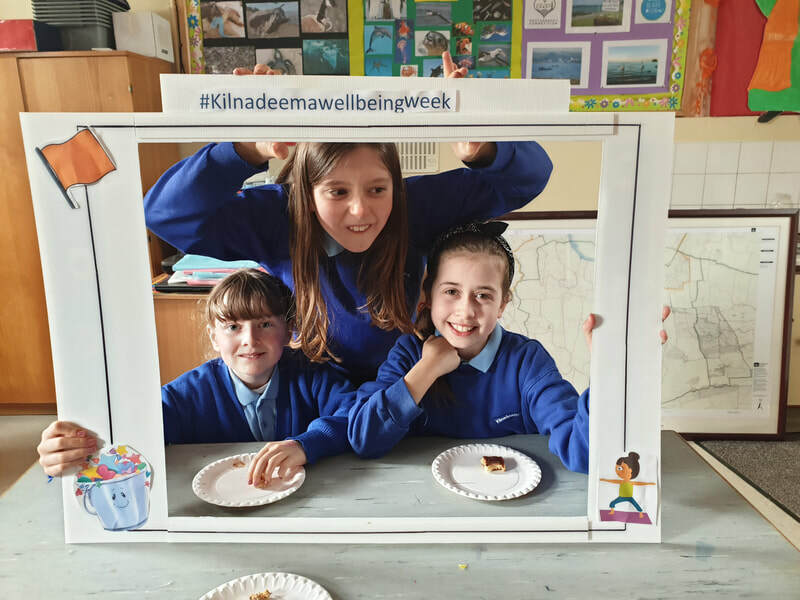 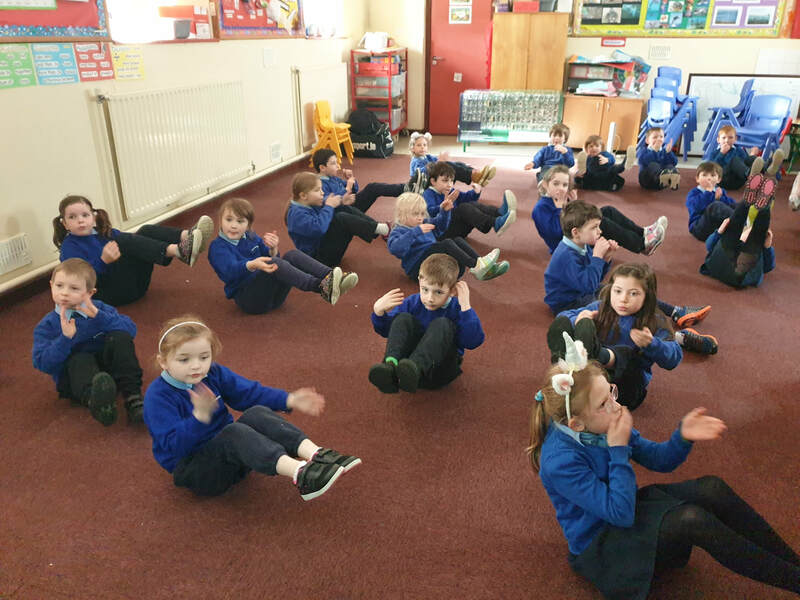 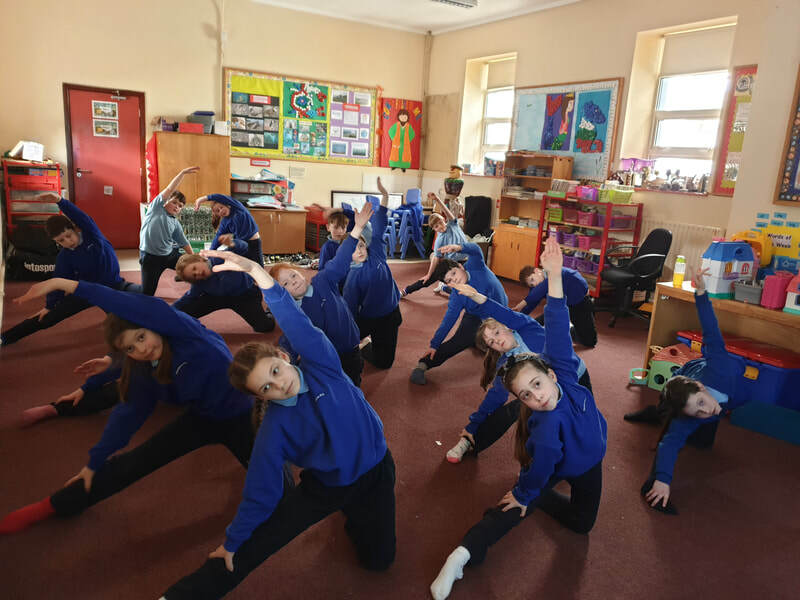 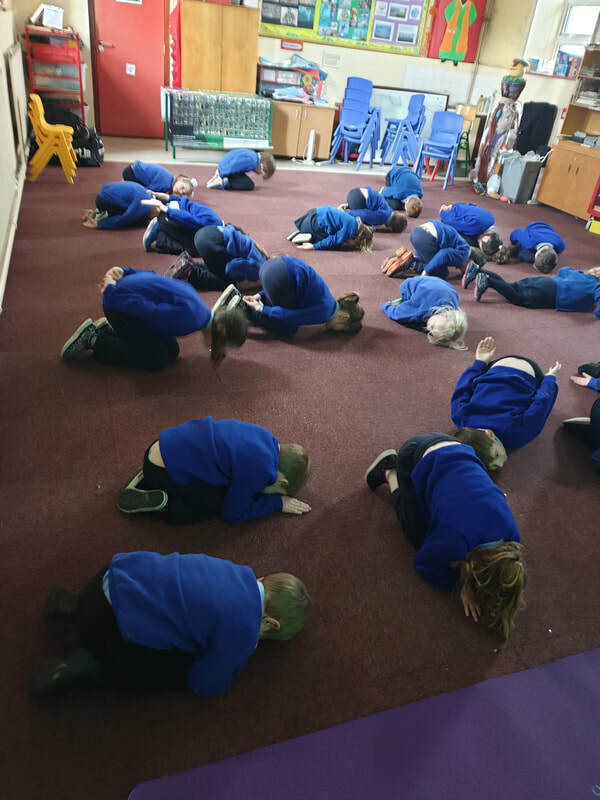 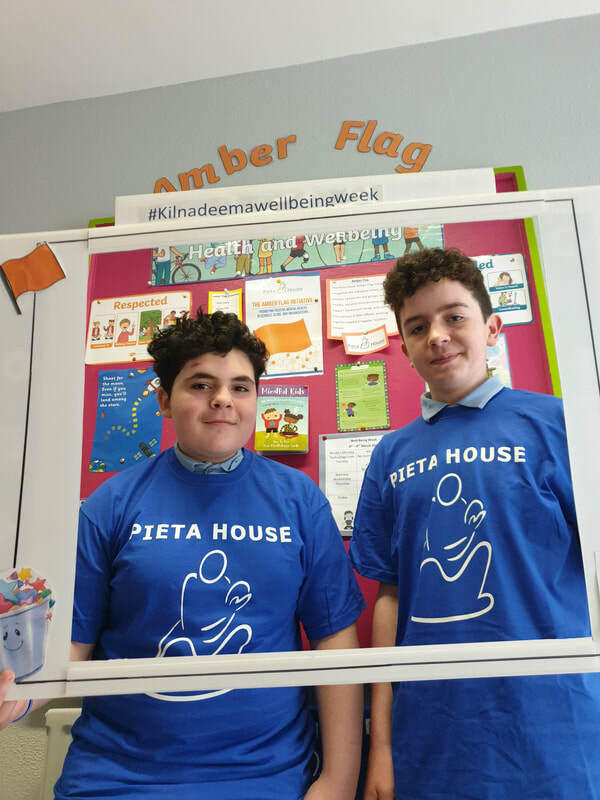 We are promoting positive mental health and well-being at Kilnadeema NS, we celebrated Well-being week 4-8th March. 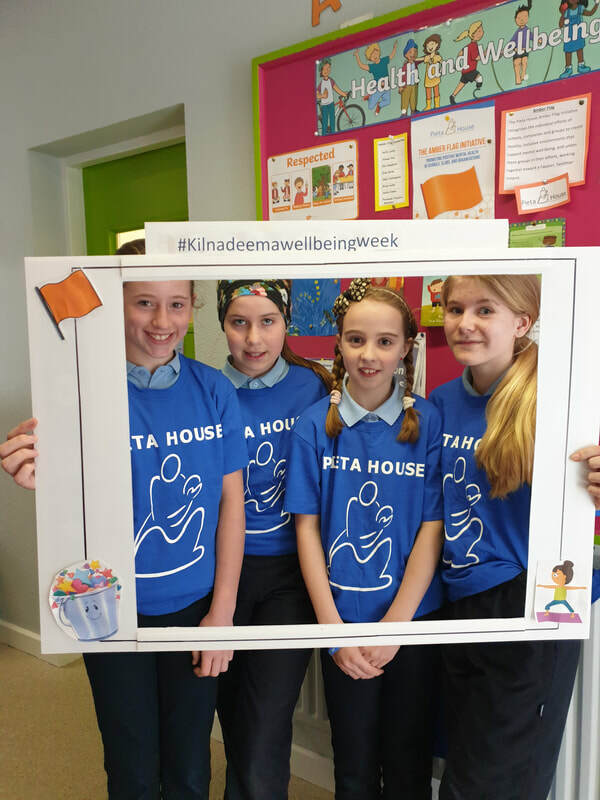 The Amber Flag team organised the events for the week. 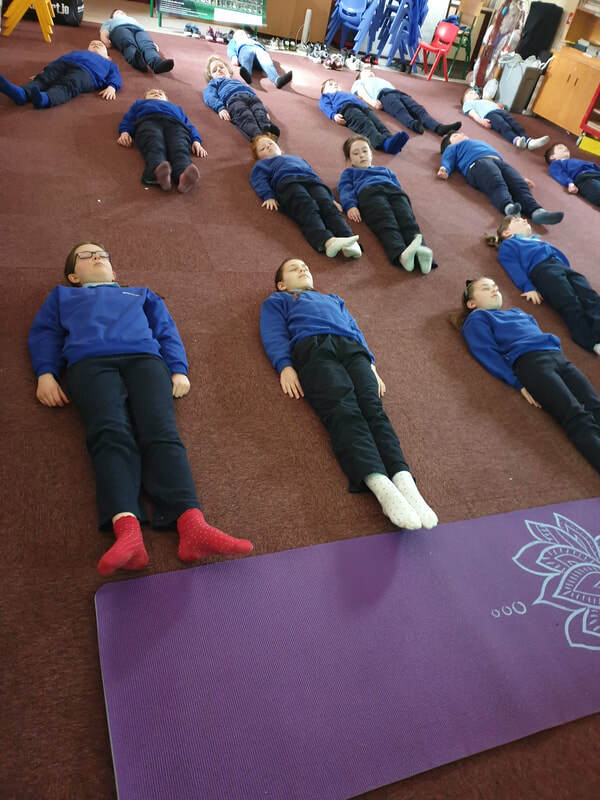 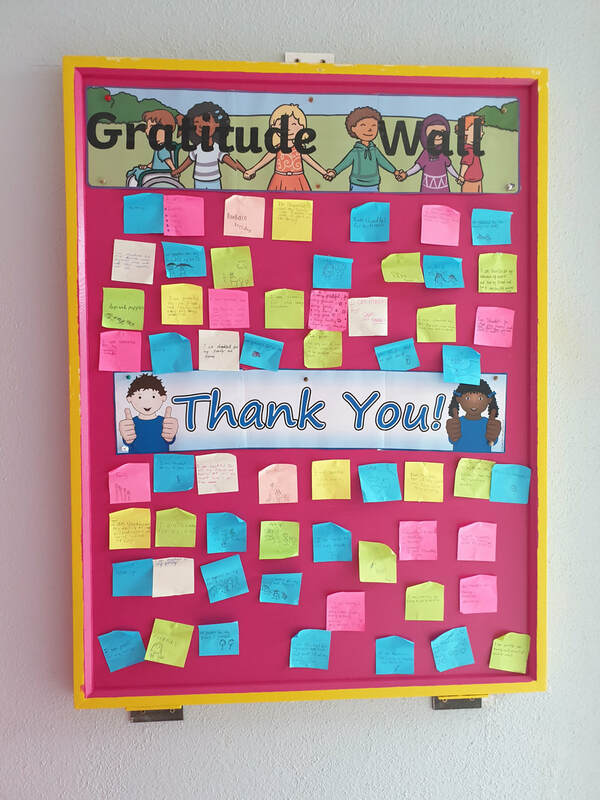 The students participated in mindfulness exercises, yoga, created a gratitude wall and Grandparents spent an afternoon playing board games and cards with the children. 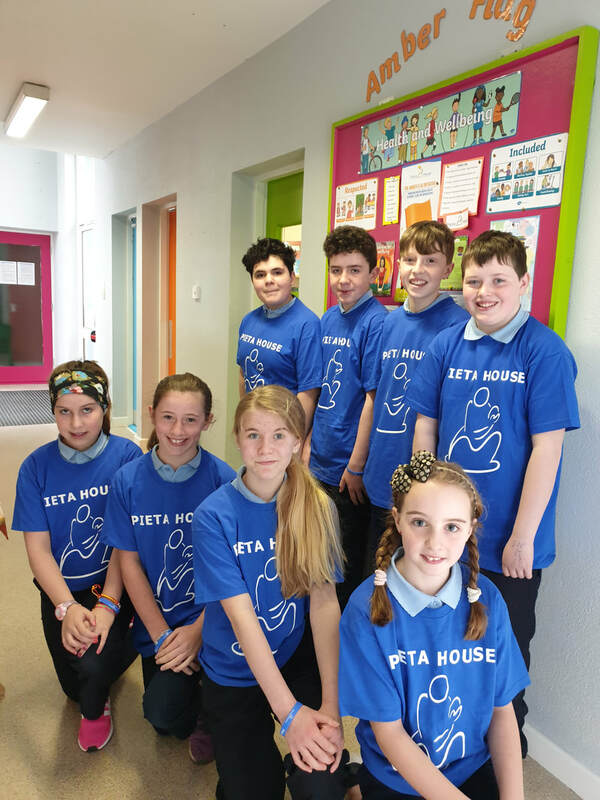 We held two fundraisers for Pieta House this year, a Christmas jumper day and a cake sale.